Thank you all for accepting my last post with open arms. It has been difficult these last couple days, especially since Amanda lives on the other side of the country. I wish I could see her, but her family has been so wonderful about updating me on her excellent progress. 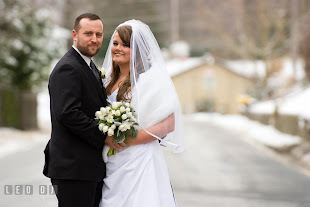 The doctor was able to remove about 90% of the tumor and Amanda is now recovering beautifully. She can move all her limbs, remembers everyone around her and can speak! It is such a relief to know that her brain functions properly. Praise God for such good news! I have been pretty busy this last week and weekend, but above all else I have been resting, praying and thinking about life. All good things. Back to reality this morning - back to work and routines and schedules. 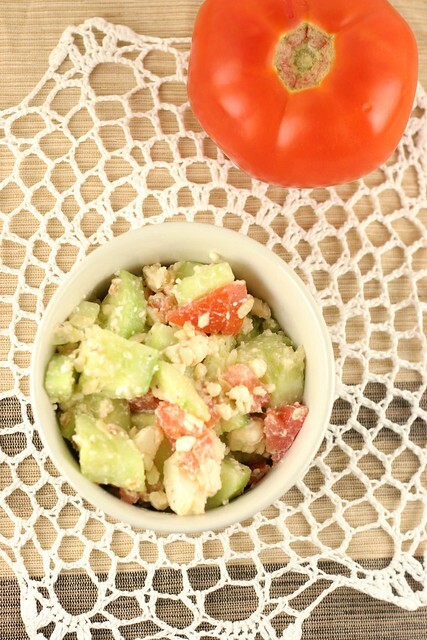 I made this Greek Cucumber Salad last night to take to work this week. I feel like I need to inject vegetables in my veins sometimes. Like I just need a big dose of "healthy" and everything will be okay. This is also incredibly easy to make. It tastes so fresh and clean, like you just picked some cucumbers from your garden off the coast of Santorini (I wish). 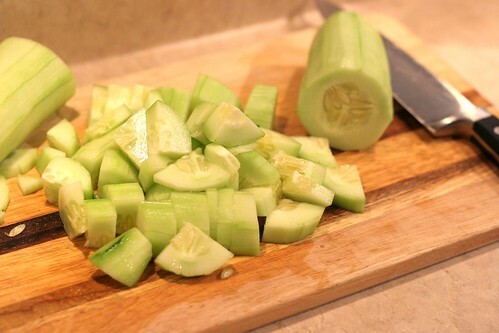 Start by peeling and chopping up 2 cucumbers. Then chop up one tomato and throw those 2 vegetables (fruits?!) in a bowl. I used my hands to crumble in about 6 ounces of feta cheese. The little package you buy in the grocery store is 8 ounces. I suggest using at least half (4 ounces), but just use how much you like. Drizzle olive oil, vinegar and black pepper. Then mix until everything is combined. 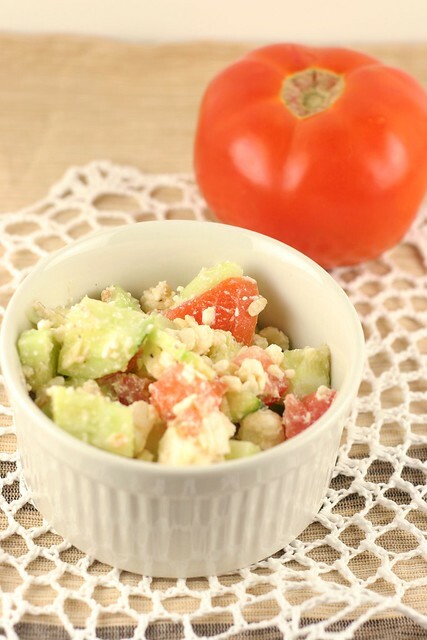 As easy as that - you have made a fresh, delicious salad. I will be enjoying this at work today. I hope you try it too! Peel and chop cucumbers. Chop up tomato. 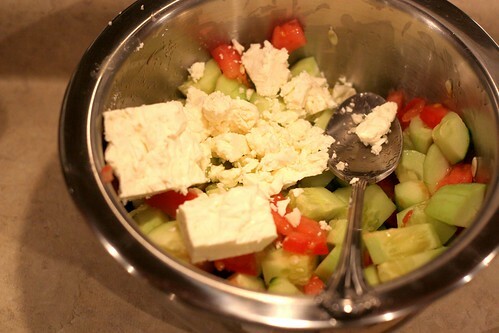 Mix those 2 vegetables in a bowl and use your hands to crumble feta cheese, according to how much you like. Drizzle olive oil and vinegar. Sprinkle with pepper. Mix everything together until combined. nom i love to do this! staple summer dish. also if you mix oil, balsamic vinegar and the teeniest bit of french mustard it tastes even more divine! I absolutely love this! It's so fresh and delicious. So glad to hear your friend's surgery was successful. That looks like a tasty dish...after this weekend I could definitely use something healthy! 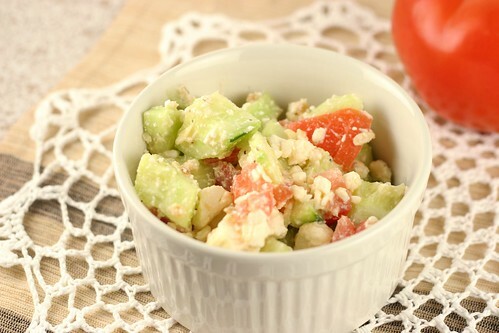 I love this salad...it looks so fresh and healthy! 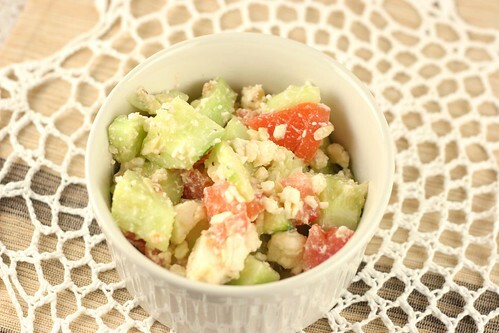 This is a fabulous and easy salad. I love it with some hummus on a whole wheat pita or wrap!